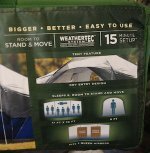 Camping safety? How do you prepare for it? Let's see what being safe is. The best way I can describe it is through the Boy Scout Motto: Always Be Prepared. You never know what will happen or when. If you can take a first aid class, do so. You can use this knowledge anywhere, anytime. It is priceless information that may save someone's life. They teach all kinds of safety skills. What kind of things can happen at a campground? Well, let's see. There are trees, rocks, water, sand, ticks, mosquitoes, snakes, bees, sun, boats and the dreaded poison oak. Now, can you think of any reason NOT to be prepared? In an emergency situation, such as a snake bite, be ready to head to the nearest hospital. Gather that kind of emergency information and keep it handy BEFORE you get to the campground. I keep a cork board and a dry erase board hanging in the camper. On the cork board, I have emergency phone numbers. These include the hospital, family, friends readily available and park host station. Make everyone aware of these numbers and when to use them. The dry erase board is for notes to each other. If you are going out of your camp area, leave a note for other family members as to where you are going and what time you left. When you come back, just erase it. 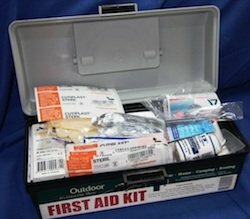 Keep a first aid kit in your camper or vehicle. Some very innocent looking plants can inflict serious injury. Poison Ivy and Poison Oak can cause an itchy rash, and for some who are sensitive, it can spread all over the body. You can also spread it all around if you touch the plant and then touch your skin. Recognize Poison Ivy by the 3 leaves. Sometimes you can see the oil on the leaves, but usually you won't notice it. It is a ground covering plant and its vines can climb trees. If exposed, you'll need to wash off the oil with soap and water, and then apply Calamine lotion from the first aid kit. People who are allergic to bees can have reactions to them and start major swelling in the exposed area very quickly, or worse. You may save a life, just knowing how to handle these things. If you have any questions about any situation you find yourself in, just call out for help. You will find people willing to do whatever necessary to come to your aid. Mosquitoes carry diseases, some of which are deadly. Be prepared to repel them with natural mosquito treatments. Don't forget to plan for sunny days! A sunburn can be dangerous, so be sure to take sunscreen, hats, sunglasses, and possibly umbrellas to create shade when you need it. 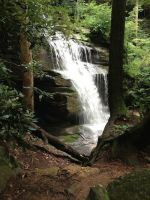 Water safety is of the utmost importance in camping safety. 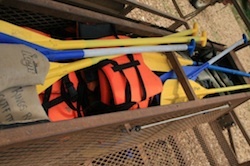 Learn to use life vests and rescue floats and please do not get on the water without on. Learn to use CPR if at all possible. Some companies have programs for CPR training for their employees. The YMCA and Red Cross are other resources. Teach your children how to buckle them on. They truly do save lives. 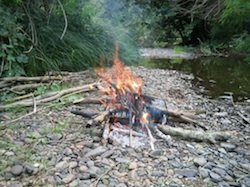 Think about fire safety as part of your camping safety preparations. Remember the picture of Smokey the Bear and the reminder that "Only You Can Prevent Forest Fires". Teach your children what to do to prevent forest fires. There are trees all around your camp site and fires can get out of control. Keep all fires in designated areas only. You will find a fire ring at your campsite. Please use it when the weather permits. You should not burn any wood on a very windy day. Sometimes if it hasn't rained in a while, there may be a burn ban posted. That means the ground and surroundings are too dry and making a fire is too dangerous. Please follow all campground rules.They are there for your protection. Always have a way to put out an unexpected fire. Wind can carry burning debris and create a fire elsewhere, too. Keep camping safety in mind for all activities. If you are not familiar with the campground safety rules, ask the attendant on duty for a copy of them. Make sure your children know the rules and follow them. It is for their safety, also. Always encourage them to report any suspicious happenings to an adult.